Embryonic dinosaurs kicked and wiggled in the egg, a new discovery of a baby-dino-bone bed suggests. The bones, all from not-yet-hatched embryonic dinosaurs, are among the oldest dinosaur-embryo fossils ever found. What's more, the embryo fossils came from separate nests and the dino embryos were at different stages of development when they died — two discoveries that will enable researchers to study how dinosaurs developed before hatching. "It tells us quite a bit about early embryonic stages and changes that occur in the embryonic life of these animals — something we haven't really seen before," said study researcher Robert Reisz, a paleontologist at the University of Toronto. A cross-section of an embryonic dinosaur femur found in Yunnan, China. The honeycomb-like area is bone tissue with large spaces for blood vessels, indicating rapid growth of the bone. Timothy Huang, a chemist at National Chung Hsing University in Taiwan and an amateur archaeologist, discovered the embryonic bones about three years ago in Yunnan Province, China. The bone bed has an area of about 3 square feet (1 square meter) and a thickness of about 4 to 8 inches (10 to 20 centimeters). In this small patch, the researchers eventually uncovered more than 200 itsy-bitsy bones. A geological analysis of the spot revealed that slow flooding probably smothered the eggs, which seem to have been laid in a colonial nesting site. After the flood, the embryos and eggs rotted and fell apart, leaving a mound of disarticulated bones. 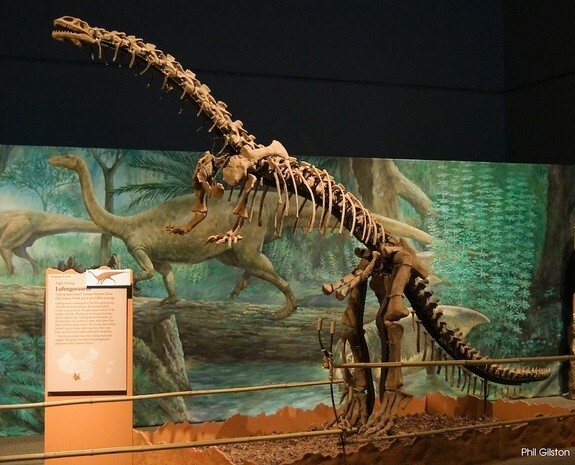 The bones date to the Lower Jurassic period, or between 199.6 million and 175.6 million years ago. That makes them just as ancient as the oldest known embryos ever found, which were discovered at a nesting site of long-necked Massospondylus dinosaurs in South Africa. It was a boon for science that the dino embryos had fallen apart, instead of fossilizing inside their eggs, Reisz told LiveScience. "People are extremely possessive and fond of their embryos inside their eggs — imagine us asking them to take pieces out and do the sections on them and cut them, and essentially do damage to them," he said. "These bones are completely disarticulated, and we have a lot of them — so it's not unreasonable to be able to take a few and cut them, and see what their internal anatomy is like." The bone bed contained spinal bones, limb bones, shoulder blades and even a few fragments of skull, but Reisz and his team focused their analysis on the most prevalent and best-preserved bones: femurs, or thigh bones. These little leg bones ranged from 0.5 to 0.9 inches (12 to 22 millimeters) in length, shorter than matchsticks. The bones were porous, filled with cavities that would have once allowed blood to flow to the growing tissue. The size of the cavities is determined by how fast the animal grows — which made researchers realize these embryos got big quickly. "They grow very fast — faster than we expected, and faster than most other dinosaurs that have been studied this way," Reisz said. The fast growth rate makes sense, given that Lufengosaurus grew to 20 feet (6 meters) in length. The researchers also found an asymmetrical thickening in the femurs associated with muscle action on the bone. The finding suggests the little dinos were kicking and twitching inside their eggs. Lufengosaurus grew to be about 20 feet (6 meters) in length. The team also discovered evidence of organic material — probably collagen, part of the connective tissue that forms ligaments and tendons. 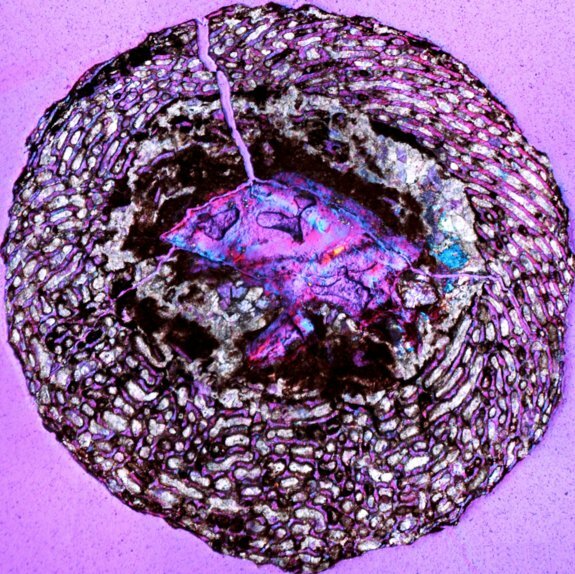 If the material isn't too deteriorated, it could be compared to collagen in living animals, thus providing a new way to look at relationships between modern creatures and the extinct dinosaurs, Reisz said. "We're setting a new benchmark as to what can be done in dinosaur embryology," Reisz said. He and his colleagues report their findings Thursday (April 11) in the journal Nature. An upcoming goal, Reisz said, is to give the embryos their first dental exam. "One of the things we may try in the near future is to look at the embryonic teeth themselves," he said. "They're very cool."